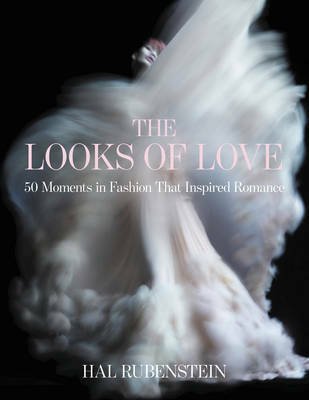 Hal Rubenstein, fashion authority, consultant, and author of the bestselling 100 Unforgettable Dresses, presents fifty of the most influential romantic moments in style from the 1930s to today, in this full-color collection that reveals each item's indelible place in the pantheons of fashion and popular culture. In The Looks of Love, Hal Rubenstein showcases seminal moments and events in television and film, on the runway and red carpet, and in social media that have changed the way we look at love, fashion, passion, romance, marriage, beauty, and style. From Alexander McQueen's stunning dance marathon collection inspired by the film They Shoot Horses Don't They? to shoulder-pad-clad Krystle and Alexis Carrington's jealous catfights; from all eight of Elizabeth Taylor's wedding ensembles to Angelina Jolie's singular Versace wedding gown with a veil embroidered with her children's drawings, Rubenstein brings his impeccable eye, compelling voice, and impressive depth of knowledge to these iconic moments. Here, too are anecdotes and first-person commentary from more than a dozen world-class designers that offer fascinating insight into each "look." Spanning eras and media, combining more than 225 images and essays, The Looks of Love includes such innovative trendsetters as Humphrey Bogart's trench coat in Casablanca; Marc Jacobs's spectacularly romantic show for Louis Vuitton that featured models disembarking from a vintage steam train; Beyonce's "All the Single Ladies" video; Versace's "Miami" collection; The romantic world of Ralph Lauren; the marriage of the Duke and Duchess of Windsor-Edward VIII and Wallis Simpson; The Summer of Love-Woodstock; Gene Kelly's sportswear in Singing in the Rain; DKNY advertising; and much more. Playful and profound, trendy and timeless, stylish and sophisticated, The Looks of Love illuminates our evolving culture and couture in fresh and startling way.